Twenty years ago, Philly’s dining scene was, well, decades behind what it is today. And its vegan dining options were even more desolate. Back then, diners seeking dishes made without animal products had few options: a vegan cheesesteak at the erstwhile Gianna’s, meatless fare offered by a select few vegetarian-focused Chinese restaurants, or a drive out to the suburbs for vegan fine dining at Horizons, Rich Landau and Kate Jacoby’s first restaurant. It’s 2018, and things are different now. Philly has become a bastion of vegan dining in America, from our vegan coffee shops and myriad fast-casual spots to fine dining concepts that treat vegetables as the main course. Some of that has to do with veganism going mainstream across the U.S. More Americans are learning about the environmental and ethical implications of industrial livestock farming and seeking to improve their health through a more balanced diet. Chefs and restaurateurs are catching up to the demand, too: according to the website Vegetarian Resource Group, the number of all-vegan concepts has increased from 55 in 1993 to just under 1,000 today — and that doesn’t include vegetarian places or conventional restaurants that offer vegan options. Now, a vegan diet doesn’t require a lifestyle overhaul or trips to an overpriced health food store. It’s something you can adopt for a month, a day, or a single meal — one that tastes delicious and just happens to not be made with ingredients from animals. Despite that, one might expect Philly – with its diners, iconic pizzas, and love of bread smothered in cheese and meat — to resist such a trend. 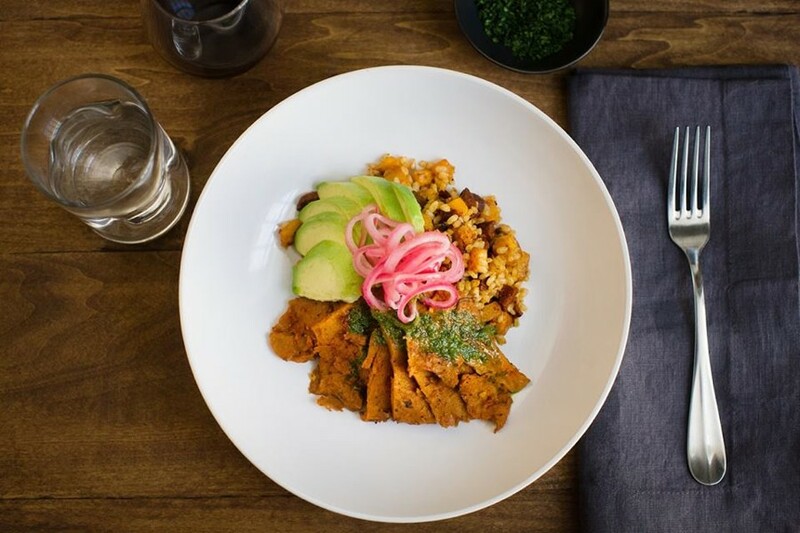 Instead, the city’s vegan dining culture has grown alongside, and heavily influenced, its vibrant omnivore offerings. Landau and Jacoby relocated Horizons to Center City in the mid-2000s. 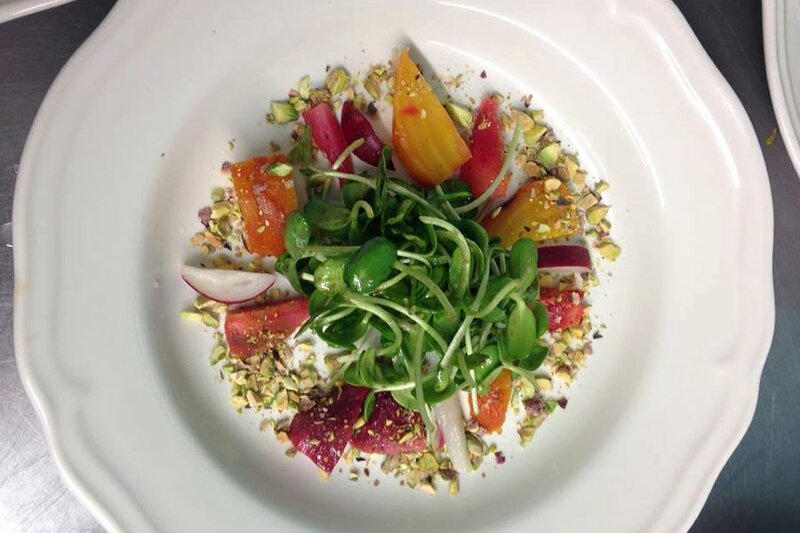 In 2011, they closed it to open Vedge, which would offer a new kind of vegan dining experience — a place that didn’t make up for what it wasn’t, but celebrated what it was: a vegetable restaurant. 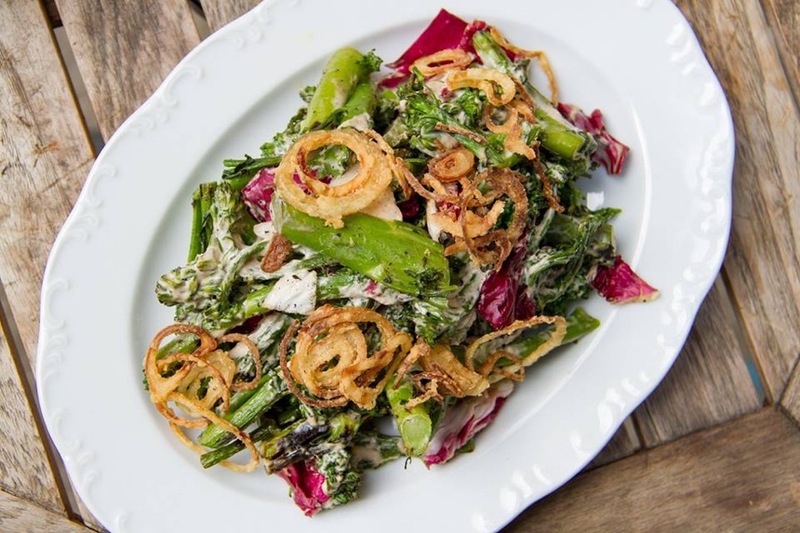 This approach appealed to a new kind of diner — one who may never have set foot in a vegan place, but who’d eat at a vegetable-focused one on par with the likes of Zahav and Vernick. Rachel Klein started her own vegan food business in the mid-aughts, delivering plant-based lunches to Center City office workers and selling seitan meatball subs at farmers’ markets. Now, Miss Rachel’s Pantry offers catering for weddings and other private events as well as inventive prix fixe dinners on weekends only, often sold out far in advance, in Klein’s cute brick-and-mortar in Newbold. She estimates that about half of her dinner patrons are non-vegan, eating out with vegan friends or partners, or dining with her out of curiosity or after hearing positive reviews. Landau, too, is proud of the fact that, per his estimation, around 95 percent of the guests at Vedge aren’t vegans. At the fast-casual Hip City Veg, Marquis makes a point to use familiar flavors to appeal to customers who may never have considered eating a meatless meal. One of their top-selling items is a crispy faux-chicken sandwich, modeled on what she grew up eating at fast-food joints before she became vegan. Now, there are vegan hoagies, vegan burgers, vegan pizza, vegan pho, vegan ice cream, and vegan donuts in Philly. There’s an entire restaurant concept devoted to vegan cheesesteaks. And true to another regional favorite, there’s even a vegan diner. Sofia Baltopoulos and Kate Hiltz had been cooking and catering vegan for years, but it wasn’t until the longtime Atlantic Pizza at 12th and Reed Streets went up for sale that they hit on another Philly food first: The Tasty, an all-vegan diner serving up big portions of comfort food in a space that had been a beloved neighborhood greasy spoon for three decades. 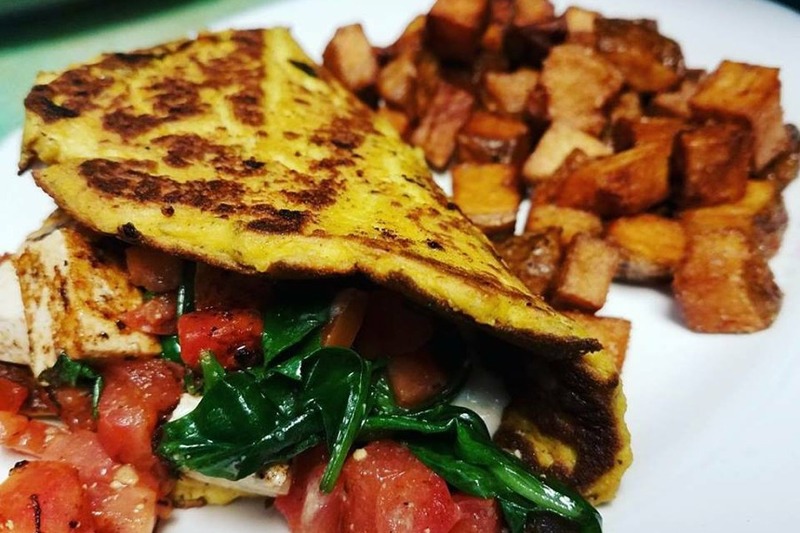 “Living in South Philly myself, and also being vegan, I found that there was definitely a lack of breakfast options,” said Baltopoulos, with a nod to Pennsport’s Grindcore House cafe. Now, they have neighbors who come in every day and diehard vegans who will cross state lines to eat their vegan versions of biscuits and gravy and BLTs. 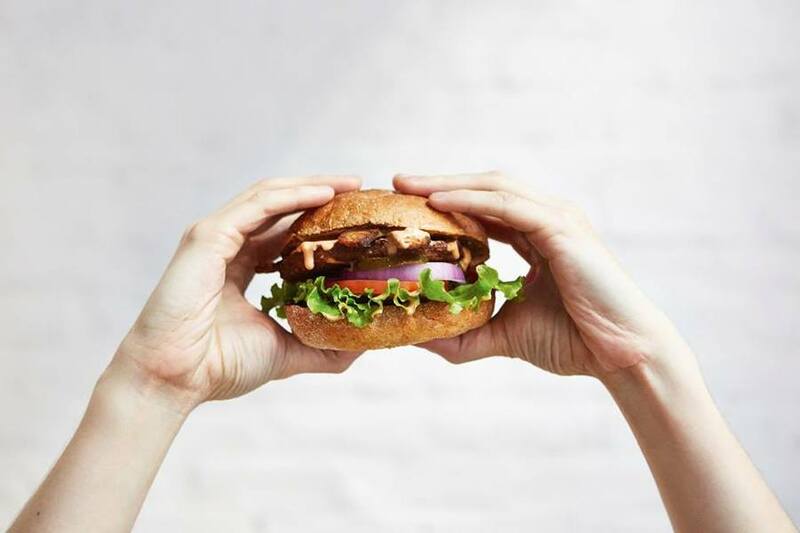 For his part, Landau forecasts a slowdown in new vegan concepts as the city’s restaurant scene as a whole experiences market saturation, labor shortages, and rising costs of doing business. Rather, he sees an increase in vegan options on menus as the city’s “new normal,” with more mainstream kitchens cooking up more vegetable-based dishes. More chefs who aren’t strictly vegan themselves are getting more into plant-based cooking, too. Hungry Pigeon chef-owner Scott Schroeder famously cut back his consumption of animal products to one day a week; his cooking at the restaurant reflects that. 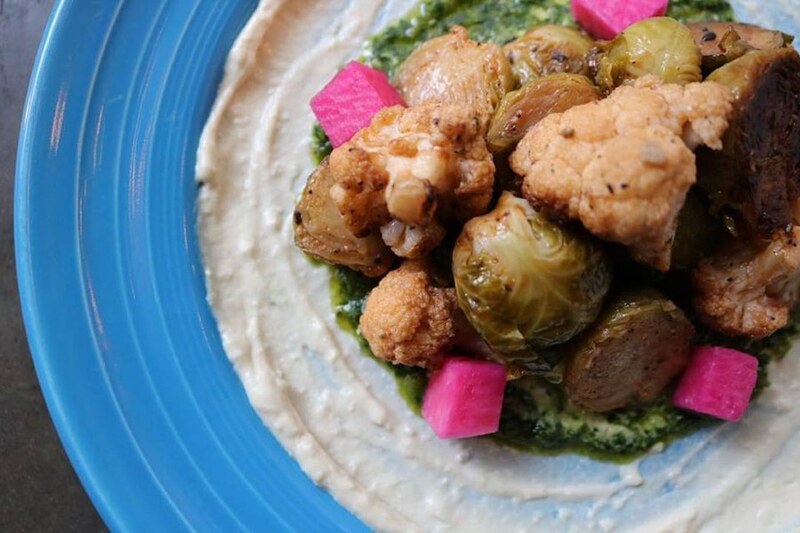 Even a red-hot restaurant group like CookNSolo has a vegan concept in its roster: Goldie, which opened on Sansom Street last year, offers falafel, fries, salads, and shakes — no animal products needed. “Falafel is already vegan, fries are already vegan,” said Emma Richards, a Zahav alum who’s now general manager at Goldie. Only one thing was missing from the falafel joint trifecta. To create a dairy-free shake, Solomonov and his team were inspired by sweet sesame-based treat halva and looked to the creamy Soom tahini they use in their hummus. Now, their tahini milkshakes are one of the restaurant’s most popular items. Maybe it isn’t such a surprise that Philly’s vegan game is so strong during what’s undoubtedly a high point for its dining culture overall. And in her estimation, Philly’s vegan food scene is great because Philly’s food scene — period — is, too.